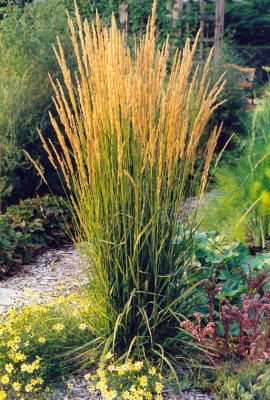 This reed grass is a vertical masterpiece and provides wonderful contrast amongst low shrubs and perennials. Often used in naturalized areas, its ultimate size is directly related to the amount of moisture. Even though Calamagrostis can grow in fresh-water bogs, it also does well in drier areas.